Julian qualified from the Durham School of Podiatry in 1987. He took up a post in Mansfield working in a Diabetic Foot clinic, where he developed an interest in biomechanical management of foot problems and surgical management of Ingrowing toenails. In 1995 he obtained membership of The Podiatry Association and commenced a surgical training programme with Mr Liggins and Mr Smallwood in 1997 based at Evesham Community Hospital and later at Solihull Hospital, being awarded Fellowship in 2000. 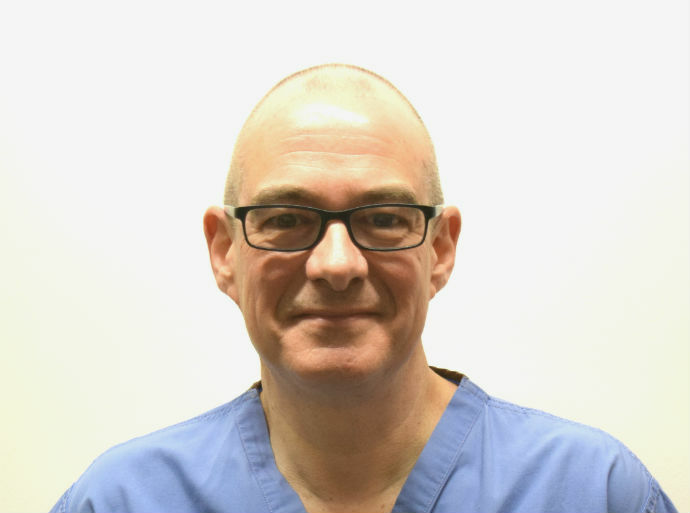 Julian worked as a registrar in Solihull Hospital and Buxton Hospital before being appointed Consultant Podiatric Surgeon at Newark Hospital in 2003. In 2007 he was appointed as an examiner for the Faculty of Surgery and also became a surgical tutor and became a Faculty board member in 2008. The centre in Newark has also been made an assessment centre for surgical trainees. Julian has lectured at regional and national conferences and has attended seminars in UK, Europe and the USA. He has carried out over 5000 foot operations with over 1800 bunion corrections, and has a particular interest in the surgical management of bunions and arthritic joints in the foot. Julian is one of only 5 foot surgeons in UK who have been awarded the title "Master surgeon" in Subtalar Arthroeresis involving the use of the Hyprocure Stent for the surgical management of Hyperpronation and Flexible flat foot. Julian sees and treats both NHS and private patients at the Nottingham NHS Treatment Centre.